St. Cloud, MN – Chamber Music Society of St. Cloud, presented Fry Street Quartet in March 2017. This Arts Midwest Touring Fund-supported engagement featured a public performance and a community residency that reached audiences of all ages.Throughout their time in St. Cloud, Fry Street Quartet played seven concerts and participated in talkbacks, demonstrations, and coaching sessions for schools, family groups, and seniors by partnering with St. Benedict Senior Community Center, St. Cloud State University, College of St. Benedict, and St. John’s University. “At all venues, the Fry Street Quartet did a marvelous job of playing and also speaking about their repertoire, the composer’s lives, and stories about the pieces they played, as well as their instruments, and their life as performers,” Rebecca Scheele, Executive Director of Chamber Music Society of St. Cloud. The performance at the senior center, described by the quartet as depicting sweet tender memories interspersed with lively dance, was relevant to the audience with their lifetime of memories and dances. Chamber Music Society of St. Cloud rekindled a diminished relationship with St. John’s Preparatory School, who’s students were delighted to see a performance, play for the Quartet and have engaging and dynamic conversations. Jeff Engholm, the orchestra teacher at St. John’s Preparatory School, said “They were also great after listening to my kids play! What a wonderful experience for all, and we all agreed we would reconnect in November when they return.” Over a dozen students continued their experience by attending the public performance with their families. Sauk Rapids-Rice School District is considering adding an orchestra program and many of the middle school students were excited to see their first string quartet performance ever. 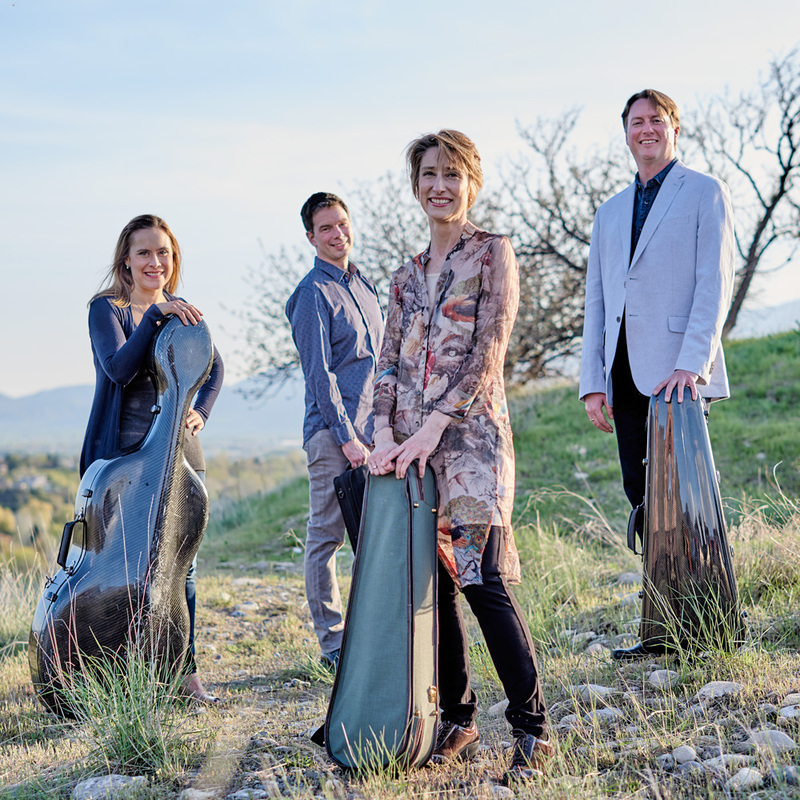 As a string quartet in residence at the Caine College of the Arts at Utah State University, Fry Street Quartet is made up of four members who each teach full time at the college while not touring. The group features Robert Waters and Rebecca McFaul on violin, Bradley Otteson on viola, and Anne Francis Bayless on cello. Acclaim for Fry Street Quartet includes quotes such as: “The robust, young Fry Street Quartet was a triumph of ensemble playing.” -New York Times and “their balance, blend and rhythmic cohesion work beautifully.” -Washington Post.Chamber Music Society of St. Cloud was thrilled to have a group who is pushing the boundaries of what defines chamber music. Fry Street Quartet will be returning to St. Cloud in November 2017. Chamber Music Society of St. Cloud endeavors to foster an understanding of and love for chamber music in Central Minnesota, by presenting top professional chamber music groups. In addition to concerts, the Society is dedicated to providing musical experiences to residents of the St. Cloud area through school performances and residencies, masterclasses for music students of all ages, educational presentations for senior citizens, and workshops for adult amateur ensembles. Those wishing to “try out” chamber music can attend family concerts and demonstrations for free at the local library.